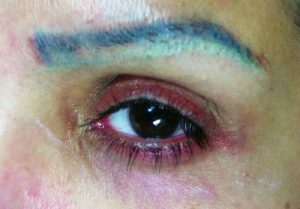 Permanent makeup is a process by which techniques similar to tattoos are used to replicate everyday make-up. All these allow the lips, eyebrows and numerous other aspects of the face to be enhanced and to stand out, a reason to why permanent makeup is fast becoming a favorite amongst women to cover the signs of aging. It also helps women to move towards a hassle-free life, one that is free of the time consuming application of eye-liners, eye shadows and other cosmetics. With endorsements from celebrities like Madonna, Gwen Stefani and Angelina Jolie, more and more women are opting for this procedure. However, these benefits come with a huge price tag, with procedures starting at £300 to going upwards of £1000, depending on the experience and location of the tattoo artist. While These Procedures Look Safe, What Happens When Things Go Wrong? The problem is the sheer number of people who claim to be experienced professionals in this particular field and coerce innocent customers by means of discounts and deals. Be weary of who you go to for this procedure, because should it go wrong, your face may be much worse off. Remember, it is better to prevail, so be cautious and don’t get fooled by cheap stackers. Take Newcastle mom Marie Johnson. What seemed to be the perfect mother’s day gift turned out to be a horrible disaster. All Marie wanted were elegant light brown eye-brows. Instead, the tattooist gave her thick black ones, which, in her own words, made her “look like something between a drag queen and a clown.” She was left devastated; she became self-conscious, couldn’t leave the house and lost sleep for 4 days. She stated that her daughter didn’t want to look at her and that she herself felt “like a freak”. The gift-coupon was worth £120 and covered a procedure that normally would cost her upwards of £400. She added that it is almost impossible for her to look in the mirror. She has already filed a complaint to the North Tyneside Council. Marie claims that it would take over £5000 to get the tattoo removed, not to mention the trauma she had to go through and all for what, just to save a couple of hundred pounds. Don’t be star struck by the flashy catalogues and heavily edited online pictures of “successful” permanent tattooing. Remember: the procedure itself is completely harmless, which is evident by it being used by a host of celebrities and women across the globe. 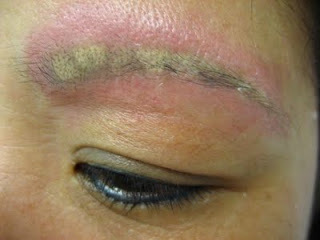 Permanent make-up can actually make your face look better, if done by qualified and experienced practitioners. They may charge more, but they are better artists and have a much better understanding of various skin tones and eye-brow shapes to make your face look natural and glowing. Procedures conducted by qualified and experienced practitioners tend to be less painful and the results are usually outstanding. 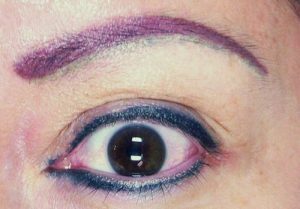 Remember that only an experienced and skilled permanent makeup artist can give you the desired natural look you always longed for. They work to adjust the evenness and the colour to match your skin tone and spare no effort in order to make sure every little detail completes your natural beauty. Out of the numerous experienced practitioners, Emma Hall Beauty is one of the most experienced and well-versed permanent tattoo technicians in the UK. With over ten years of experience in this field under her belt, she reaches out to her clients on a personal level, explaining each and every step of the procedure to all of her clients. 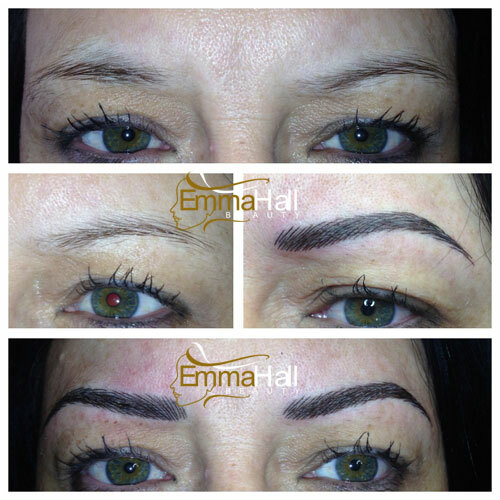 Experts such as Emma Hall Beauty ensure that the pain is kept to a minimum, which, on a scale of 1-10, stays at 2 during the entire permanent eye-liner procedure. A true professional always takes her work very seriously, understanding the daily issues women face (on their face and body image) and makes sure her clients look prettier without compromising the natural aspect of the visage. Emma explains that in her 10 years of working, the permanent eye-liner procedure is the most feared one by clients, as it involves using a needle near the eye. And she makes the process comfortable and painless by taking all the necessary steps. Her clients always leave her clinic not only looking great, but also feeling great.